Theron Denson, a 1982 graduate of Rock Bridge High School, recalls a school talent show where he wowed the crowd with his unusual vocal talent — he sounds exactly like Neil Diamond. Denson left Columbia in pursuit of a dream: to become the Black Diamond, the only African-American Neil Diamond impersonator. That unlikely dream took some twists and turns along the way, including a particularly low period when Denson was homeless in Washington, D.C., but his dogged pursuit of his goal eventually paid off. Today, Denson headlines shows across the country and is a frequent performer at venues on the Las Vegas Strip. It’s a story of determination, perseverance and triumph, and it got the attention of a biographer who has previously written about Frank Sinatra, Louis Armstrong and Boris Karloff. Author Scott Nollen was at the Las Vegas TV studio when Denson made a 2009 appearance, and he pursued Denson in the hope of telling the entertainer’s story. At first, Denson resisted the idea. “It might be a magazine article or a blog but I’m pretty sure it’s not a book,” he told Nollen. Denson relented after Nollen assured him that his story might inspire others to follow their dreams. 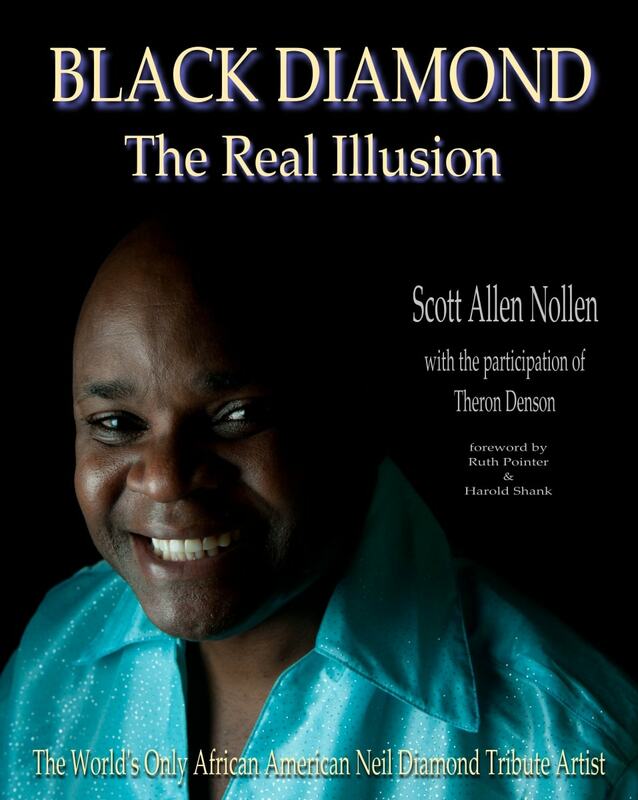 Nollen’s book, Black Diamond: The Real Illusion (Midnight Marquee Press) was released in July. During the course of his research, Nollen talked to Columbians who have watched Denson blossom from talented teen to successful tribute act. Among those quoted in the book is Mary Humlicek, one of Denson’s favorite teachers from high school. Other familiar Columbians in the book include Denson’s junior high teacher, Joyce Anderson, and retired Mizzou basketball coach Norm Stewart, who befriended Denson last year. Denson hopes to return to Columbia soon for a book signing. In the meantime, he’s selling autographed copies of the book from his website, www.BlackDiamondVocals.com.